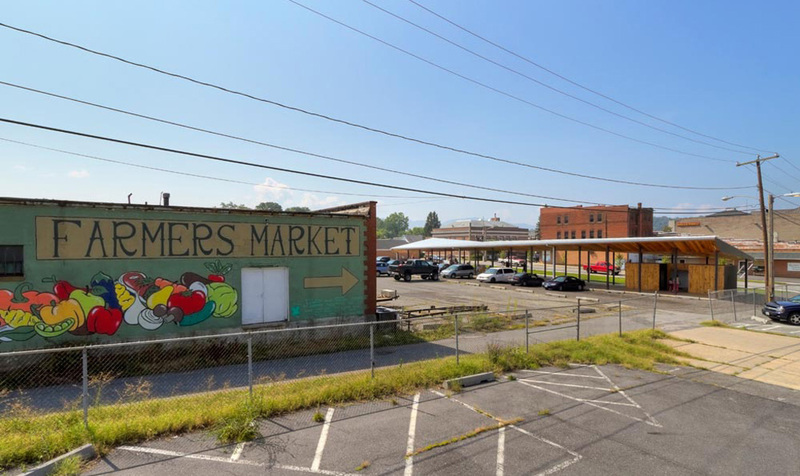 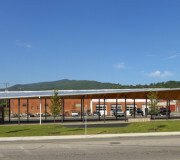 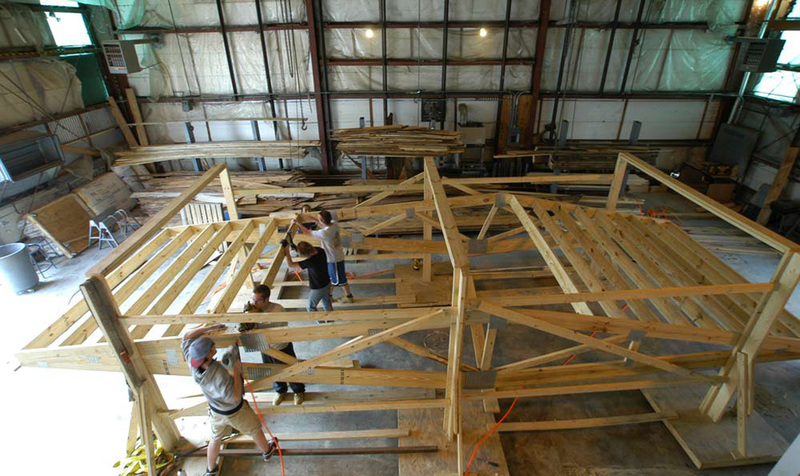 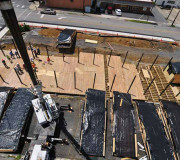 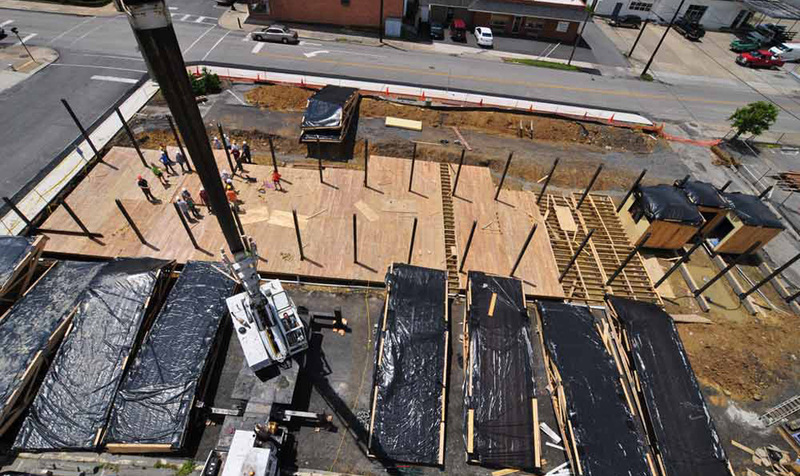 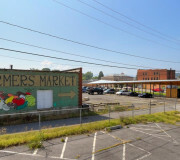 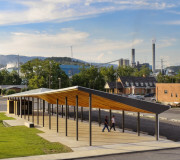 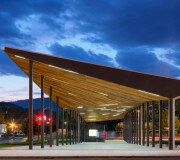 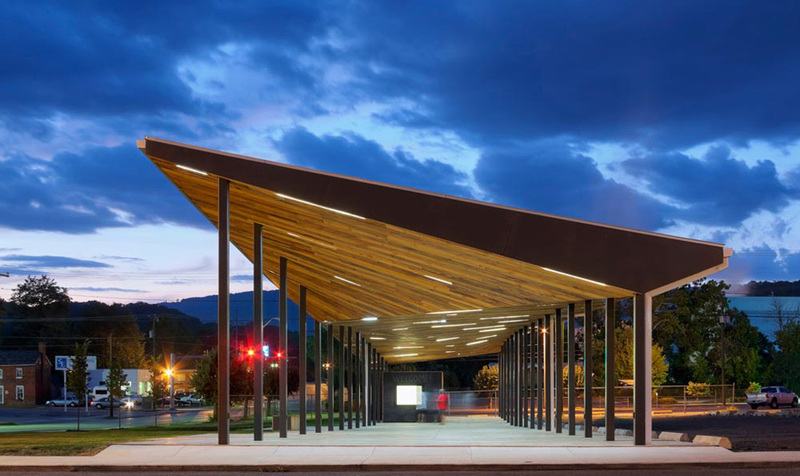 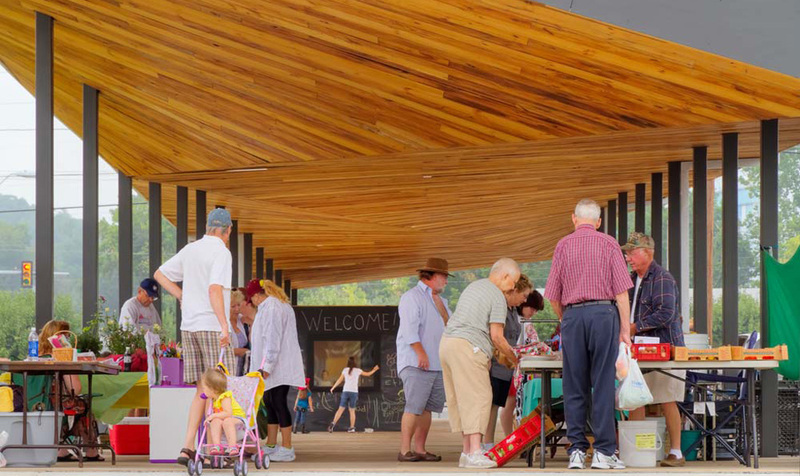 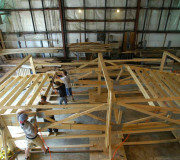 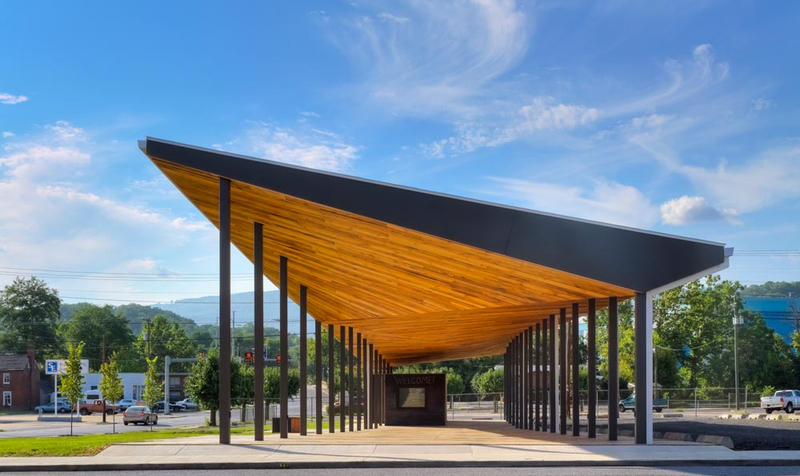 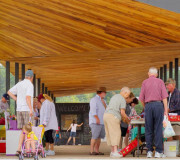 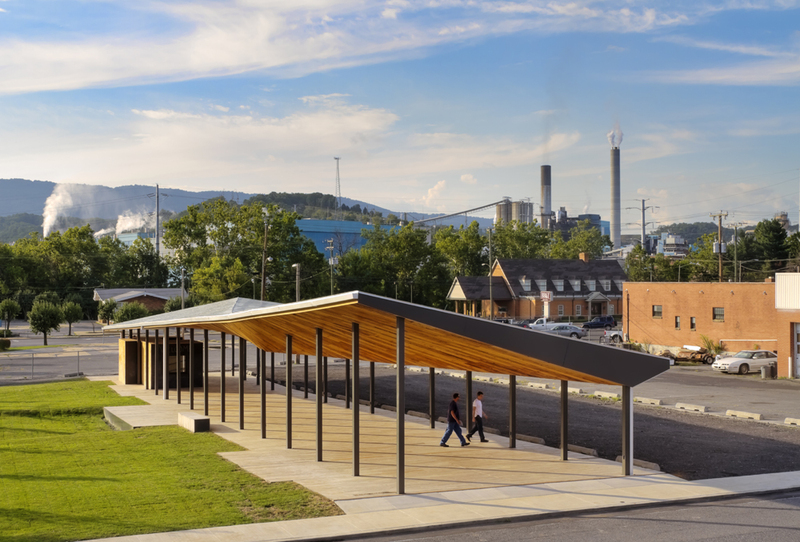 The project consisted of the design, prefabrication and construction of a farmers' market pavillon in Covington, Virginia. 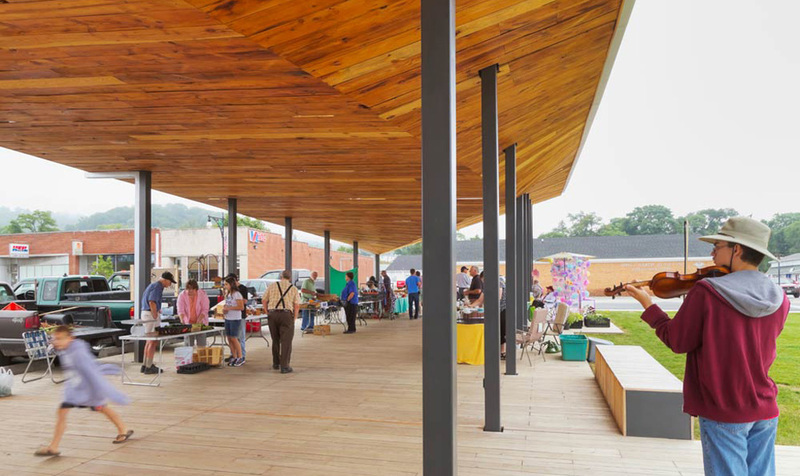 At the scale of the town, the building reads as a seamless gesture. 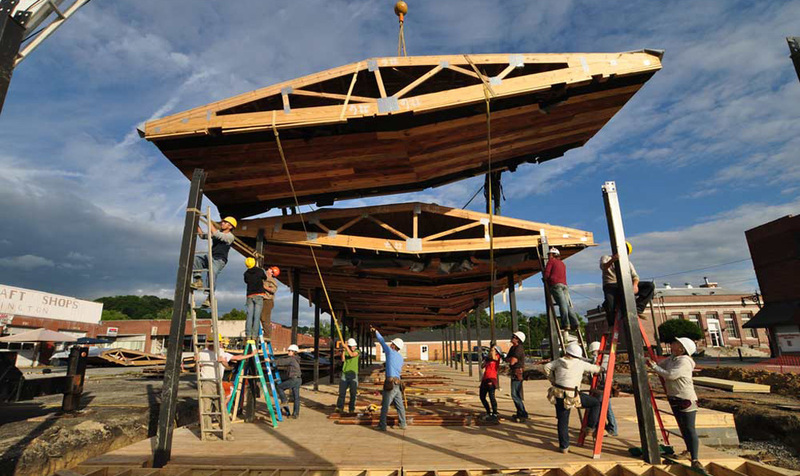 At the scale of the occupant, the details express the modular construction. 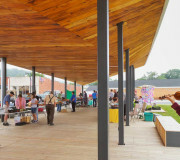 A locust deck serves as the market floor. 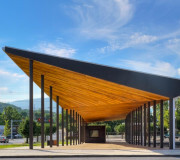 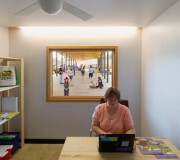 It folds up to allow the nesting of an office, storage room and restroom, and extends beyond the market into a sloped earth park to provide a stage and seating. 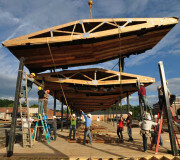 A sculptural roof and ceiling of reclaimed heart-pine and galvanized sheet steel floats over-head. 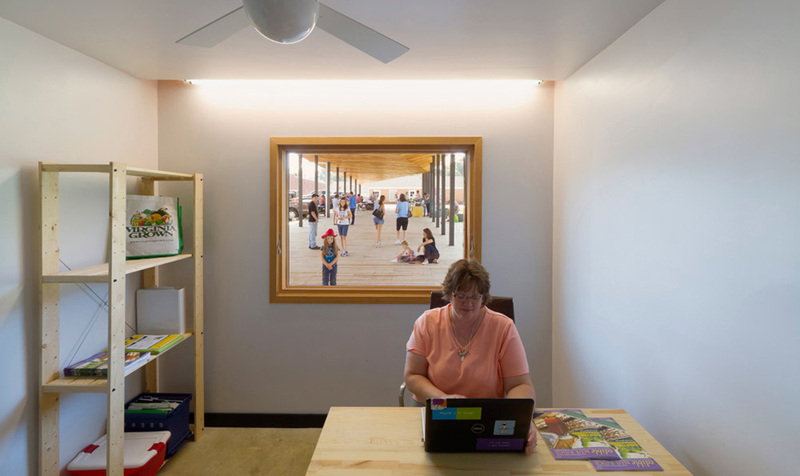 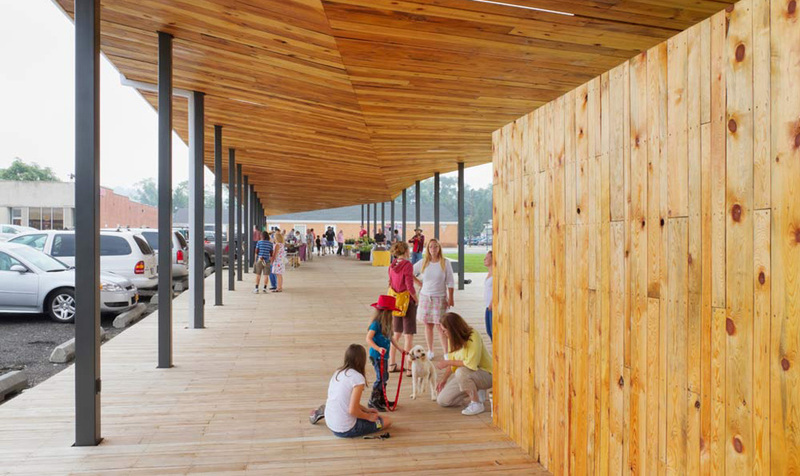 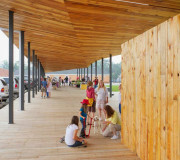 This market pavilion is the modern expression of timeless agrarian sensibilities.